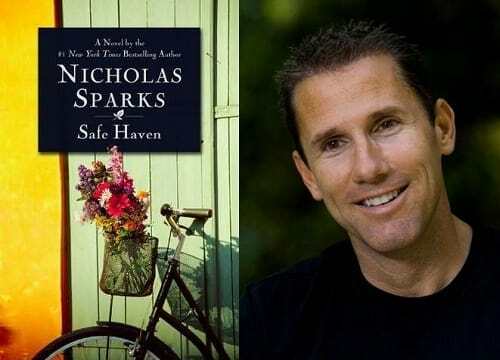 Nicholas Sparks and his latest book, Safe Haven. Sparks is a producer too on Safe Haven. Nicholas Sparks is an internationally bestselling writer-both on the screen and in the books! So far, six of his novels have been turned into films, including Message in a Bottle, A Walk to Remember, The Notebook, Nights in Rodanthe, Dear John, and The Last Song. The Lucky One is another book written by Sparks, which will be coming to theatres April 20, 2012.